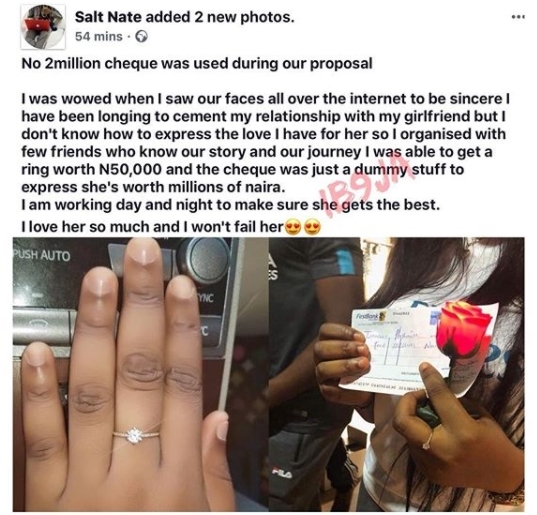 A young man who just proposed to his girlfriend with a N2million cheque and a costly diamond ring has revealed more details of the engagement. 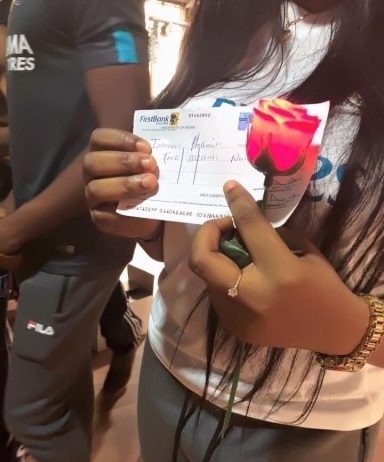 As the news went viral on social media and trailed with mixed reaction and criticisms, the man has taken to Facebook page to give reasons why he did it, saying that no “N2 million cheque” was presented during the proposal. I am working day and night to make sure she gets the best. 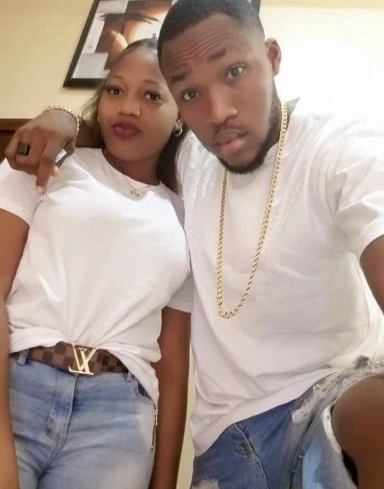 I love her so much and I won’t fail her."